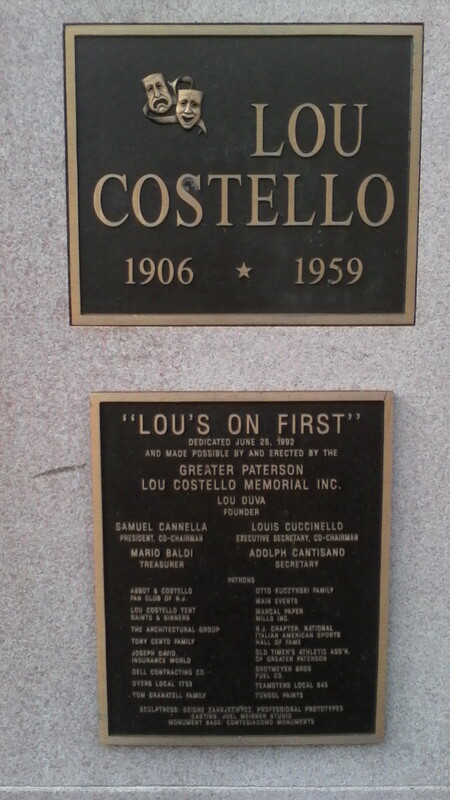 Lou Costello was born in Paterson New Jersey and never forgot his roots, even more than simply ending most radio shows “goodnight everyone in Paterson New Jersey!” and working his hometown into many routines, he gave back, funding youth centers and civic organizations. 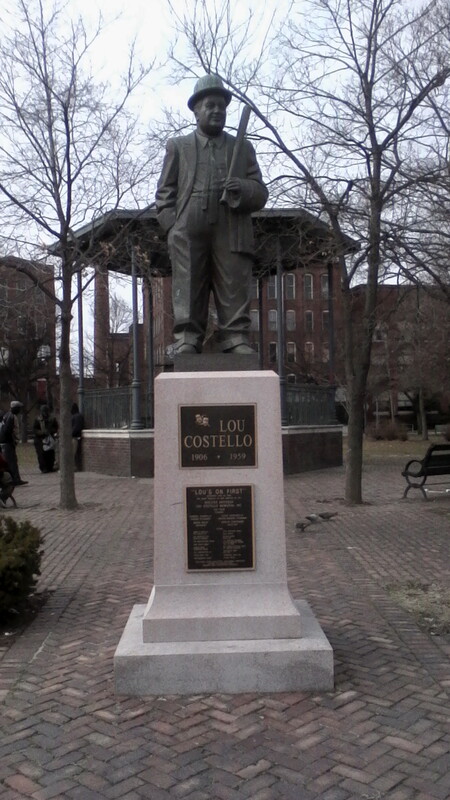 In Lou’s honor, the city of Paterson erected a statue and memorial in his honor. 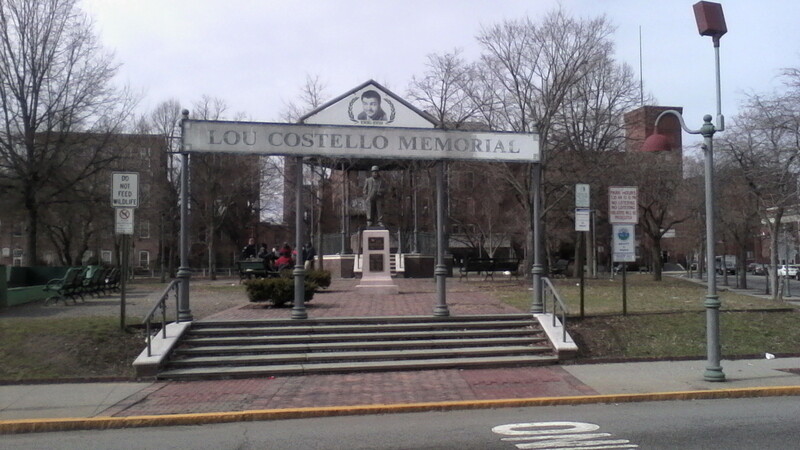 I had always wanted to see it, and when I found myself in Paterson over the weekend I had to make sure to stop there. 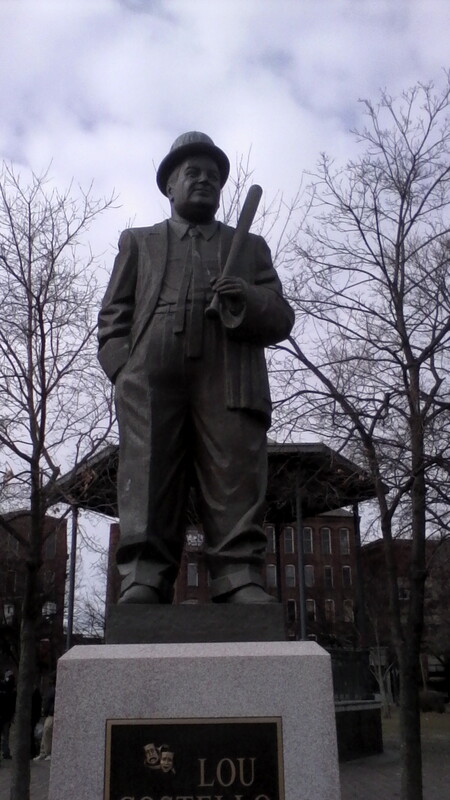 Paterson isn’t the place it once was (in fact, the police were interviewing some sketchy characters while I was there) but the statue and memorial are clean and graffiti free. 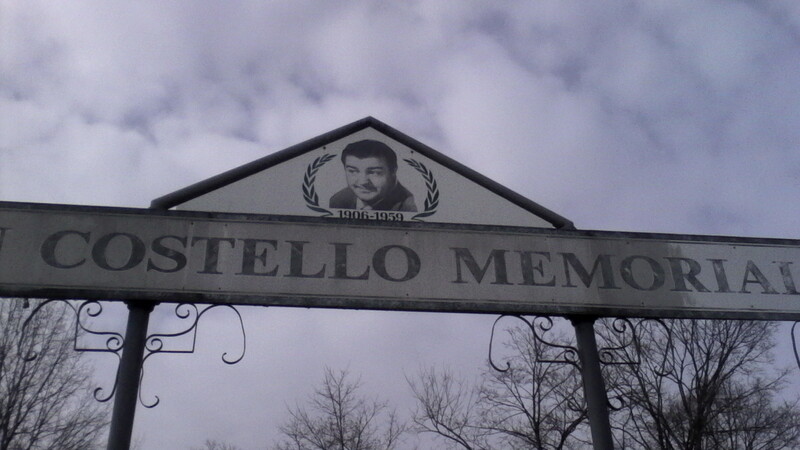 And while the surrounding area is in serious need of economic redevelopment, I can say that the people there seemed to have pride in the neighborhood.